A gentle reminder for forgetful people. You know how it is. You think to yourself “yep, I must do that later” and then the thought completely vanishes from your mind. I got a new car (first and probably only time I will ever have a brand new car in my life!) 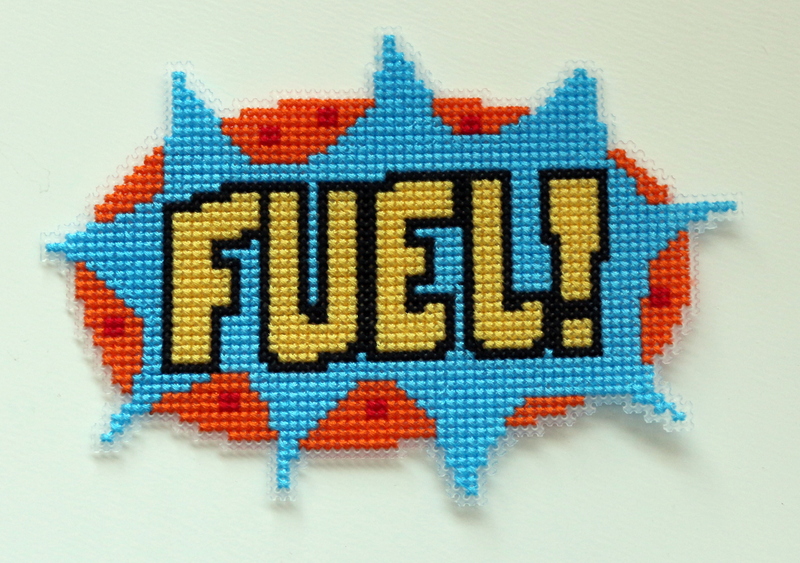 at the end of last year, and since then there have been three occasions where I have almost completely ran out of fuel. The worst was when my car told me that I had zero miles remaining and I was driving up the I880 (thankfully I could fill up at the upcoming exit), but I almost did it again the other day, so decided to make myself I little aide-mémoire to try and avoid future incidents as it has to be the most embarrassing reason to have to call out someone to your car! 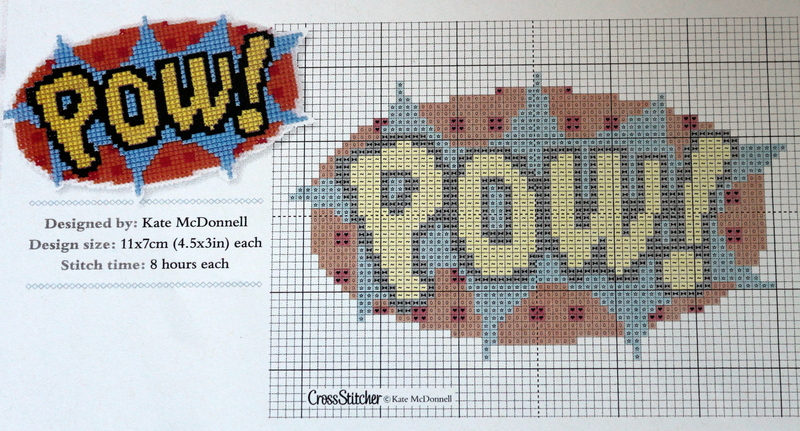 I took the colours and the style, then freehand re-drew it using the letters I wanted, and Mr M re-drew the splats of colour around it..
You can get a scan of the hand-drawn pattern here. Anyway, now instead of Pow! 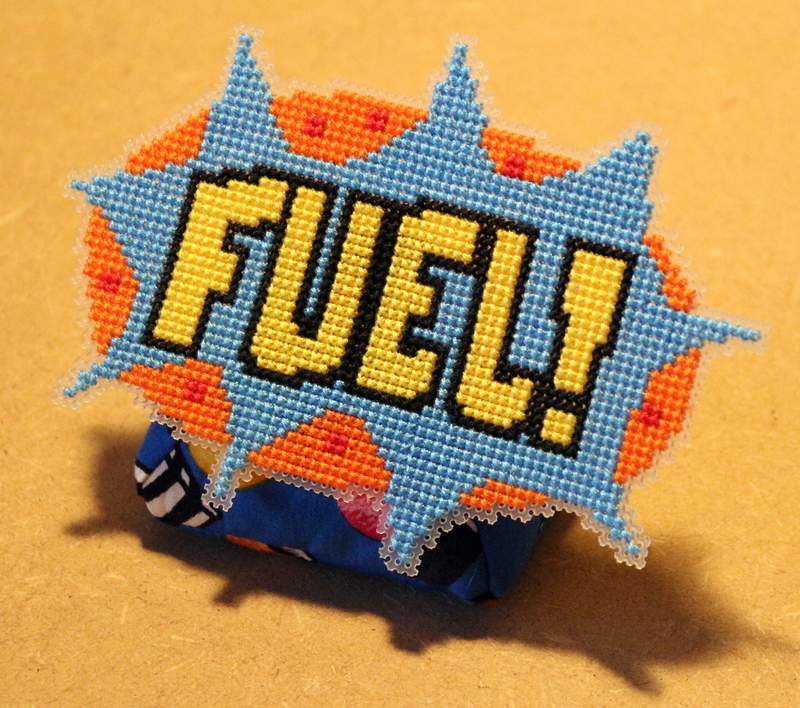 We have Fuel! I stitched it on 14ct plastic canvas, then trimming the canvas to size with a one square border around the design. 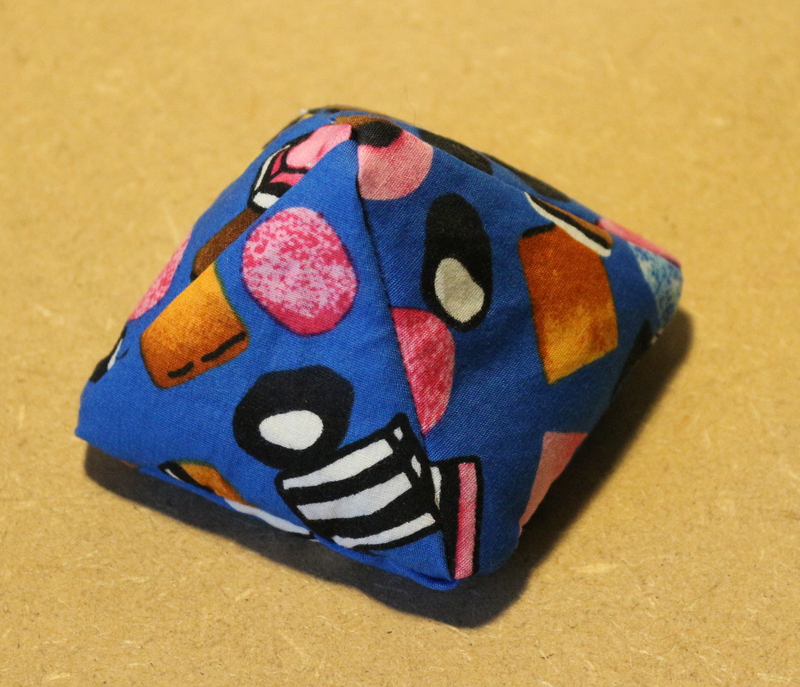 …..and then attached it, by just tacking the plastic canvas onto the bean bag using the backs of the stitches. 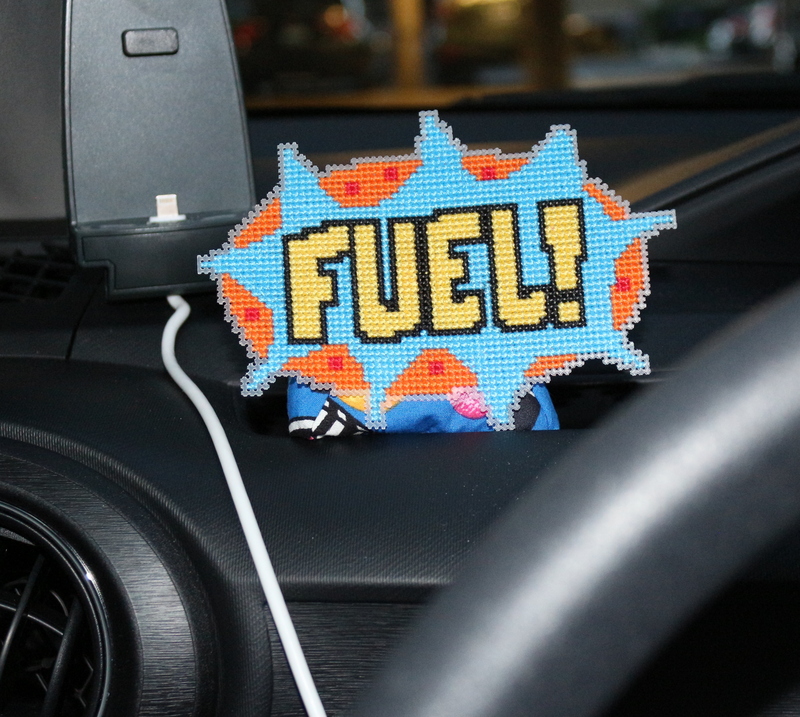 Now it can sit in my car to remind me to fill him up once in a while, and not leave it until I have one mile remaining……. Sorry Heinz.